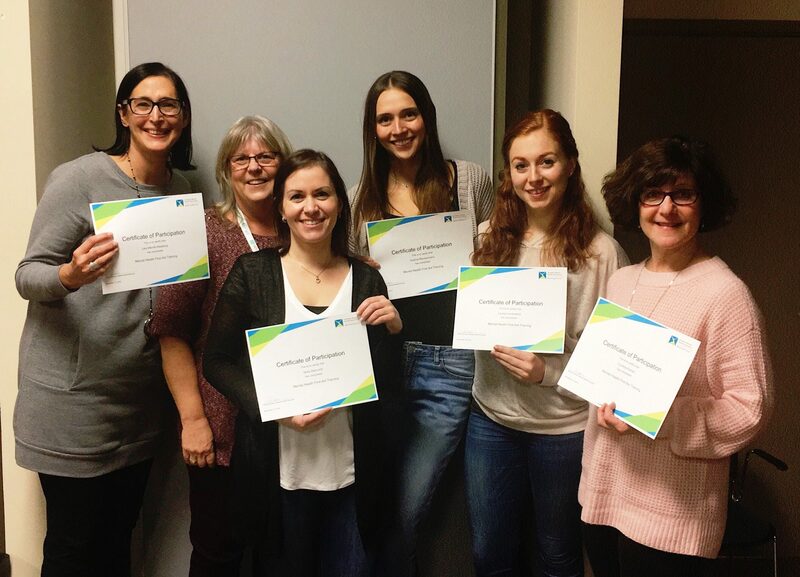 Recently, our Psychometry and Administrative teams participated in "Mental Health First Aid - Adults Who Interact with Youth", a 14-hour course facilitated by the Mental Health Commission of Canada. Skills were learned to implement initial assistance to young people experiencing mental health problems related to substance misuse, depression, anxiety, trauma, psychosis and eating disorders. We are proud to announce these teams are officially certified to provide this service!